It’s officially 10 days until Christmas and we’re into my top 10 reads of the year! Today’s book is something I really didn’t expect to like – some people even class it as historical fiction! It’s not that I have a hatred of historical fiction or anything, but I just generally don’t seem to pick it up or enjoy it. 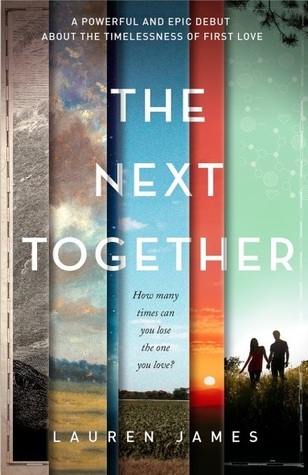 But I’m very happy to say The Next Together is more than just historial ficton. It’s more than just sci-fi. I was blown away and overwhelmed by this story. I fell in love with the complex timeline and romance that spans lifetimes. It’s so unique and different that I would recommend it to lovers of sci-fi, romance and historical fiction…it takes so many elements of YA and mixes them beautifully.